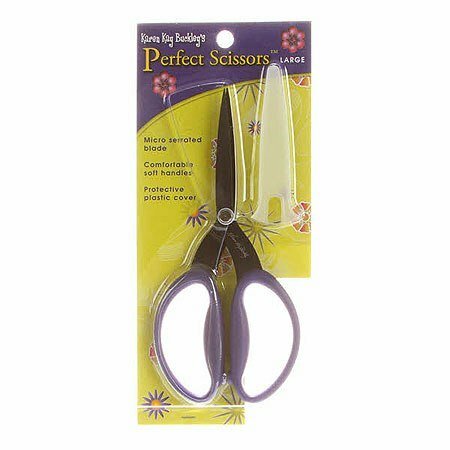 Perfect Curved Scissors. Clip close to fabric without cutting into quilt top. Great for machine quilting, machine applique, machine embroidery. Serrated blade, comfortable handle. Right or Left handed. 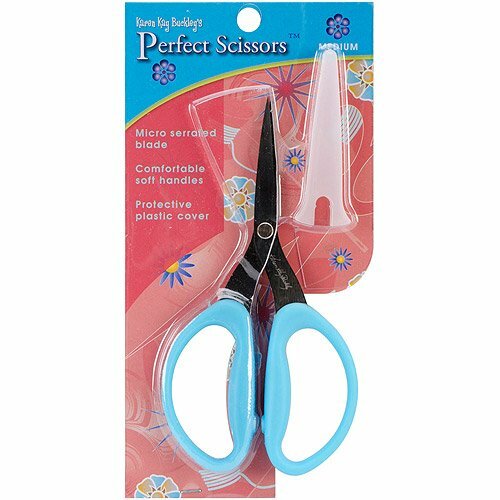 This special blade pulls the fabric into the scissors rather than pushing it away like traditional scissors Cushioned handle, easy for right or left hand to use, blades sharp to the very tip, serrated blade keeps fabric from fraying. High quality carbon stainless steel for durability and accuracy. Florine non-stick coating. Dishwasher safe. Perfect by your sewing machine, hand sewing, quilting or embroidery. Large finger holes. Smooth florine finish with non-stick coating. 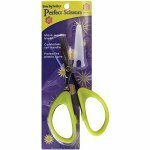 Serrated-edge blade to grip silky fabric and ribbon. Stainless steel.